"Let the past die. Kill it, if you have to. That's the only way to become what you are meant to be." 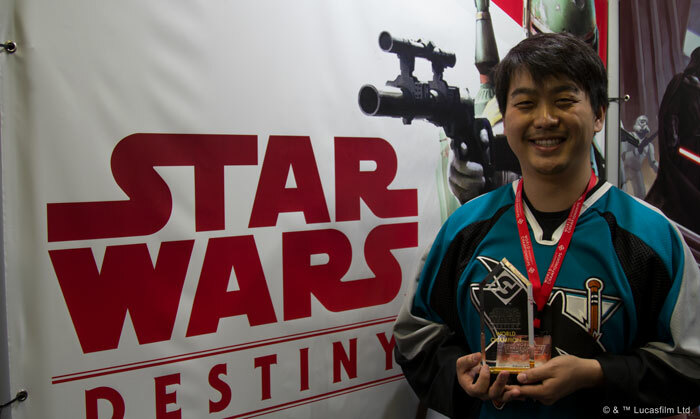 The Star Wars™: Destiny Regional Championship season may have come to a close, but there has never been a better and more exciting time to play! Not only is there currently a good measure of diversity among the game's competitive decks, but rotation is also nearly upon us—and promises to shake things up. However, before I jump into the specifics of this upcoming rotation, it might be helpful to take a step back for any players that are newer to collectible games. 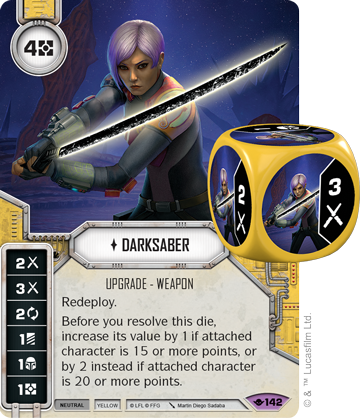 For a lot of players, Star Wars: Destiny might be their first collectible game, and with rotation coming up, it’s important to take a look at what to expect and how to prepare for the next season of play. Edwin Chen with his 2018 World Champion trophy. First off, some players might ask what rotation is and what the point of it is. 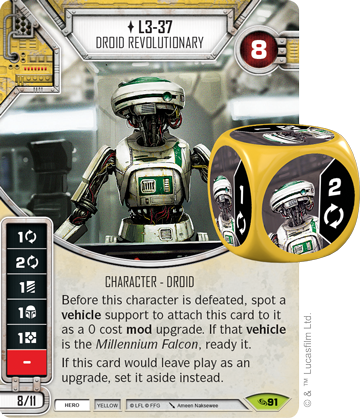 Rotation is the systematic retirement of older sets of cards—and, in Star Wars: Destiny, dice—scheduled at specific intervals. This rotation is healthy for a collectible game because it continually refreshes the gameplay experience and reduces the pressure on newer players to keep up with the different product releases. It's much easier for a player to get into a game when there aren't six or eight sets of cards to pursue! At the same time, several of the most recent sets are going to remain in the Standard pool even after rotation, and there are a number of cards from these sets that have stood out and are sure to have a lasting impact post-rotation. Few could have expected a battlefield to define the competitive scene, but Theed Royal Palace has done just that. Nearly every competitive deck runs this battlefield, and the initial roll off has become more important than ever as players fight to gain the battlefield's initial resource advantage. Although a single resource may not seem like much, it gives players a lot more options. Not only does it make three-cost upgrades and supports easier to play, but it allows players to play a two-cost upgrade—even while holding a resource back for mitigation. It’ll be interesting to see if this battlefield continues to dominate moving forward. Second, few characters have had the sort of impact that Darth Vader – Terror to Behold has had. Living up to his name, Vader has quickly become one of the most popular characters, and it will be interesting to see how other high-cost characters compete with him. Finally, there's another card that is sure to continue to terrorize players after the coming rotation— Vader’s Fist . Despite the fact this support costs five resources, almost every villain deck tries to include it, as it puts a timer on the game once it’s played. Not only does it easily throw out eight to ten damage the turn it’s played, but it continues to deal around six to eight damage every turn. This card has set the standard for high-cost cards and will definitely be an impactful card moving forward. While it’s important to take note of high-impact cards like these that will stay in the format, it’s perhaps even more necessary to look at the cards that will be rotating out. There are many cards that have been staples for a long time and will force a host of changes and adaptations after they rotate out of the Standard game. In Star Wars: Destiny, each of the colors has its own identity, each has been defined by certain archetypes over the past years, and each will be impacted by rotation. Although Red seems to be the least impacted color, it still sees the rotation of many staple and niche cards that will force players to think differently. 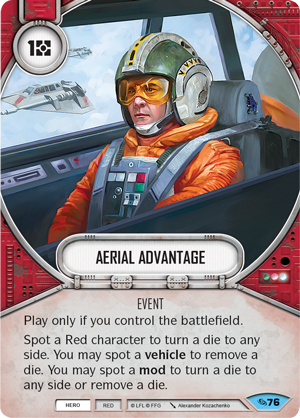 Red characters like Admiral Pryce, Rex, and Commander Cody emphasize battlefield control, and they will miss cards like Dug In and Defensive Position. Accordingly, players will look for replacements like Reach the Stars and Aerial Advantage. In addition, as Red vehicle decks lose ramp cards like Rally Aid, they may look for additional ways to generate resources. This could open up the potential for a vehicle deck focused around controlling Theed Royal Palace and generating resources through that, while also taking advantage of the aforementioned battlefield cards. Yellow, specifically Yellow hero, is losing two Awakenings cards that have shaped the game since it first launched— Hyperspace Jump and Second Chance . These two cards have almost defined Yellow hero, and depending who you are, you either hate that they are rotating out or can’t wait for them to go. Both serve the purpose of extending a game much longer than it would normally last. 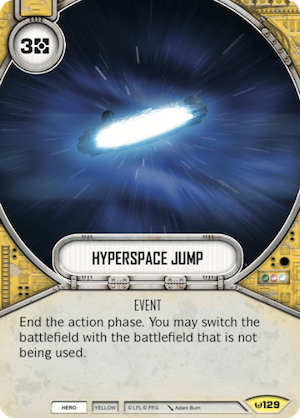 Hyperspace Jump is basically a get-out-of-jail-free card, as it literally ends a round on the spot, and Second Chance essentially gives any Yellow card an additional five to ten health. 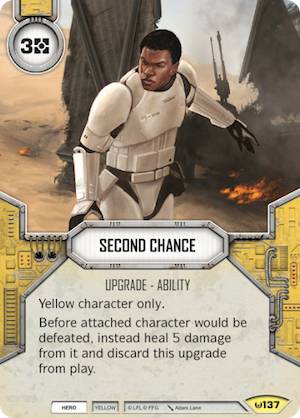 Although Yellow hero still has strong removal cards like Hasty Exit and Easy Pickings, the fact that it's losing Hyperspace Jump and Second Chance might herald a shift from aggressive two-character decks to more grindy three- to four-character decks that focus on vehicles. 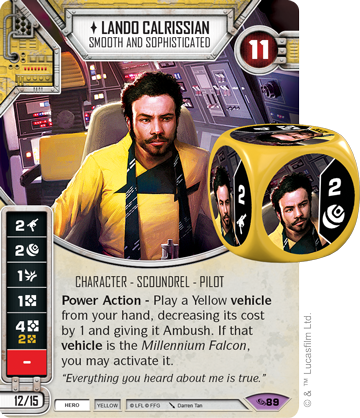 These decks might build on the strong vehicle synergy that already exists in Yellow hero thanks to Lando Calrissian and L3-37. The color impacted most by rotation will likely be Blue, which is probably also the most popular color in the game. 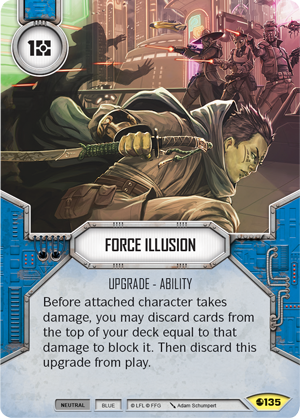 Perhaps the most played card in all of Star Wars: Destiny is Force Illusion, which is often considered by many to be the best card ever printed. I have yet to see a Blue deck that does not run this Spirit of Rebellion card, and its departure will force players to once again more actively approach their damage mitigation. 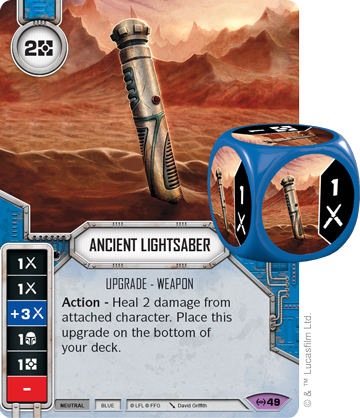 Similarly, the Ancient Lightsaber is another Blue card that has seen play in almost every Blue deck, and its ability to heal characters in a pinch combined very well with its extremely strong dice sides for a two-cost upgrade. 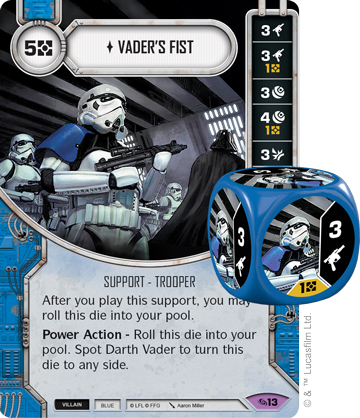 Finally, Blue includes two of the three zero-cost dice cards in the game, Force Speed and Sith Holocron. 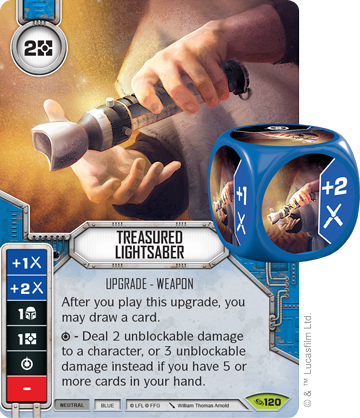 Although these upgrades are not quite as ubiquitous as Force Illusion, they have both seen major play and showed the power of zero-cost dice. Sith Holocron alone made Force powers like Force Throw and Mind Probe playable in Blue villain decks. These four cards represent just a few of the strong Blue cards that are rotating out, but even though they will soon have to replace so many powerful cards, I believe Blue decks will still look largely similar to before. They'll be mid-range two-character decks that utilize Force-driven ability upgrades and Lightsabers. Outside of the game's three primary colors, there are also some neutral and battlefield cards worth mentioning. Probably the most important of these is Close Quarters Assault. This card alone gave melee decks the chance to mitigate opponents' hand sizes and play without fear of removal. Another neutral event that has had an impact since Awakenings is All In. This card allowed almost any deck to action cheat and steal wins whenever it was played. 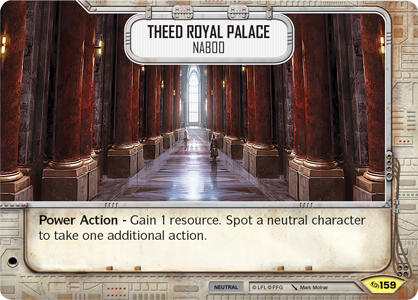 Of course, there are also battlefields rotating out, and although it isn’t currently as popular as Theed Royal Palace, Emperor’s Throne Room defined many decks and was long the core of decks based on dice-driven special abilities. One of the simplest approaches to take with deckbuilding right after rotation hits is to look at successful existing decks and consider how to best replace cards that are now unavailable. For example, although Ancient Lightsabers and Shoto Lightsabers were amazing upgrades, the Legacies set introduced plenty of two-cost upgrades like Treasured Lightsaber that can serve as a solid replacements. Like the Shoto and Ancient Lightsabers, it has three damage sides, plus it offers a powerful card draw effect. It’s also important to remember that as cards rotate out, some existing deck types are bound to get weaker, and decks less affected by rotation will become more competitive. For example, decks built around the aforementioned Darth Vader – Terror to Behold may see dips in play, as they're losing a couple key cards. 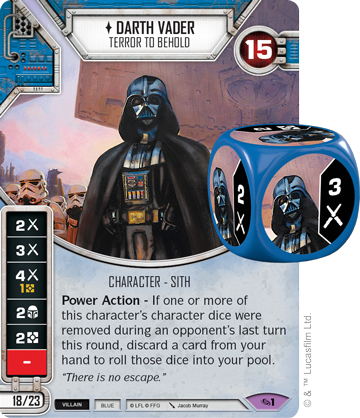 Darth Vader's high-value character dice make it easy to activate Friends in High Places and cheat out cards like Vader’s Fist and Darksaber , but as Friends in High Places rotates out, the deck faces the prospect of paying full price for these potent supports and upgrades. Similarly, the deck also loses access to Rise Again, which essentially provided Vader with five to ten additional health and the ability to play expensive upgrades from the discard pile. 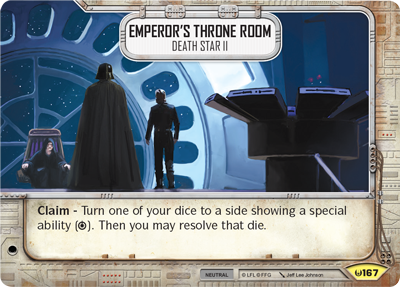 Although Vader will remain a force to be reckoned with, the fact that his decks lose these key cards may mean that a deck with Luke – Reluctant Instructor and Rey – Finding the Ways finds a new chance to shine. It's important to note that rotation does more than shake up the competitive scene. It should also invigorate the community and make it easier for new players to get involved. Not only will existing players welcome a new meta and new players find the game far more accessible, but players who had taken a break may be inclined to see how the meta has been affected. 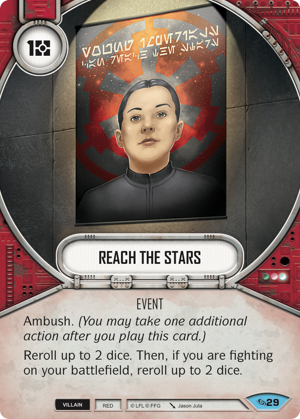 With fewer cards in the Standard card pool, rotation brings us to a perfect time for newer or returning players to jump into their local Star Wars: Destiny events without feeling overwhelmed. To encourage these newer players, communities might want to consider holding league nights. The basic concept is straightforward; when the Convergence set releases, every player starts out with one of the new starter decks. Then every week, each player in the league adds a booster to their deck. The gradual progression of a league like this allows newer players to participate on an even playing field while also giving experienced players a chance to test new cards (and cards they would otherwise ignore) and see how they fare. In the same vein, our local scene has also developed a community chest program. Players love to crack open booster packs and boxes, but in the end, who really needs their fifth Savage Opress or Force Mystic? Instead, we have a local box filled with extra cards and dice that our players have contributed, and we allow any new player to dig through it and take whatever they need. This gives newer players even more opportunity to develop their collection and gives veteran players the chance to offload some of their excess cards. Overall, rotation is an exciting time for experimentation and for growing the whole Star Wars: Destiny community, and I look forward to seeing its impact on the game!